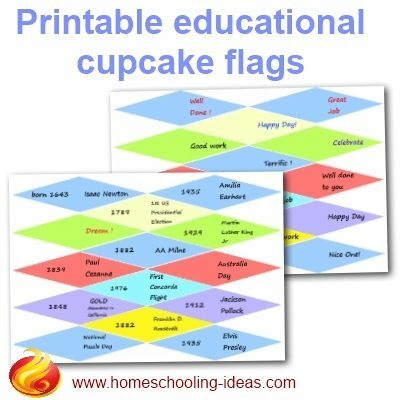 Can cupcake pennants help with homeschooling? Sure! Who knew that you could turn an educational moment into a celebration. 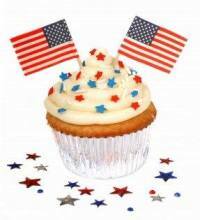 Here are some printable toothpick flags to help you celebrate - and learn! One of the books I got for Christmas a few years ago was Life is a Verb by Patti Digh. In it she recommends celebrating the little things as often as possible. And she suggests you carry around packs of little birthday candles, so you can throw a celebration any time. I saw some little toothpick flags and thought they seemed a great way of turning 'cookie' time into an occasion - without the fire hazard of candles! But how to make it an 'educational' occasion? Simple - use the flags to celebrate all types of historical or noteworthy events! Print out the flags and make them up using cocktail sticks and glue. Then celebrate the event at cookie time. One side of the flags show a date - and the other the historical event. 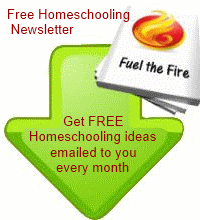 This is a great way to do educational strewing. 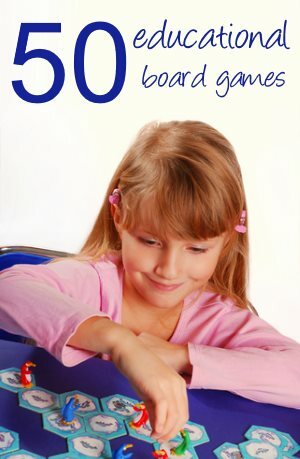 Even better - learn a few facts about your event, and add them to your kids quiz jar. 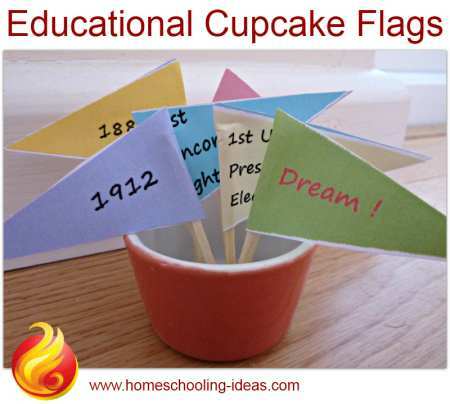 Or use the little flags to liven up your homeschool timeline. I keep meaning to add more of these flags. I will catch up at some point. In the meantime, why not make your own with these blank flags.